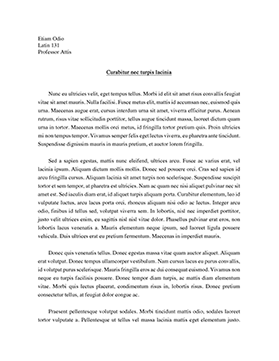 This paper will cover the reflection on a class interview for a senior social worker intern. The teacher gave every student ten minutes to complete the interview. The social worker intern was prepared for the interview. She found out her scenario just minutes before the interview. This paper will focus on the limits of confidentiality for the client, potential assessment for the client, engagement with the client, and evaluation of the social worker. The story was about a social worker intern who was placed in the hospital emergency room. The social worker had to do an intervention to one of her classmates who is in the same social work program, Ralph. Ralph arrives in need of facial sutures after being involved in a fight at a party. With him is a 14-year-old girl who says that she is his client in a foster family agency. They are both extremely intoxicated. The social worker intern was told to evaluate Ralph since he reportedly told a nurse he would kill himself if a word of the incident got back to the university. ...ity limits and other duties of a social worker. The social worker did mention the limits of confidentiality to the client at the beginning of the session. Most of the classmates did agree that the social worker did a great job in staying calm and was able to understand where Ralph was going through. The cultural influences are that a minor was involved, the social worker intern did a good job taking her out of the session and making it clear that she knew that the girl was a minor. The social worker intern only had 10 minutes for this interview, she did not have enough time to get more information from the client and do a complete assessment on the client. There are a lot of areas where the social worker can improve. The feedback from classmates did help her to know what she did wrong and ways she can improved for her future sessions with other clients.